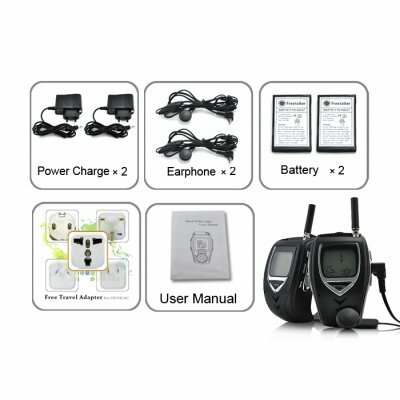 Successfully Added Walkie Talkie Watch Set - Pro Geek Gear - EU to your Shopping Cart. Walkie Talkie Watch Set - EU. Pair of stylish, matte black walkie talkies (also called 2-way radios) specially designed to fit on your wrist for a high-tech way of keeping in contact. Picture This: You're hiking in the great outdoors, hiking stick in your left hand, traditional walkie talkie in your right. You may your way amidst the rubble and loose dirt in trying to get to lower level. Despite your cleated hiking boots, the ground gives way. You try to latch onto something, but alas both your hands are full, so you take a tumble and knock your head against a rock. OUCH! It didn't have to be this way if only you were wearing your walkie talkie on your wrist instead of holding it in your hand. NOW TRY Picturing This: You're playing REAL Dungeons and Dragons with your homies in the park. Jim your best friend since high school is the Dungeon Master while you're a level 17 magic user named Gok. Your three friends from the IT department are there too. The park isn't a park but rather it's one of the levels in the Lost Caverns of Tsojcanth D&D module. "OK you walk 200 meters and encounter a Chromatic Dragon! What do you do?" asks Jim over the walkie talkie watch. Real D&D would be so much less cooler if played with cellphones wouldn't you agree? This fully-featured gadget makes a great in-field communication device, unique gift or just a fun toy suitable for anyone to use. This model is designed for use within the EU or anyplace else that uses open radio frequencies similar to the EU standards. Pair of miniature walkie talkies in a compact wristwatch form factor. Ideal for those who want to stay in contact in a unique way. Lightweight, easy to use and very practical. Never get lost in a mall again! Great for areas where cellphone reception is unavailable! Operational range of over 2KM is under ideal open field conditions without interference. produto de otima qualidade, funciona perfeitamente. E sobre o site, é 10, foi a minha 1º compra e certamente farei outras. great quality product, works perfectly. And about the site, is 10, was my 1st purchase and I will make another.